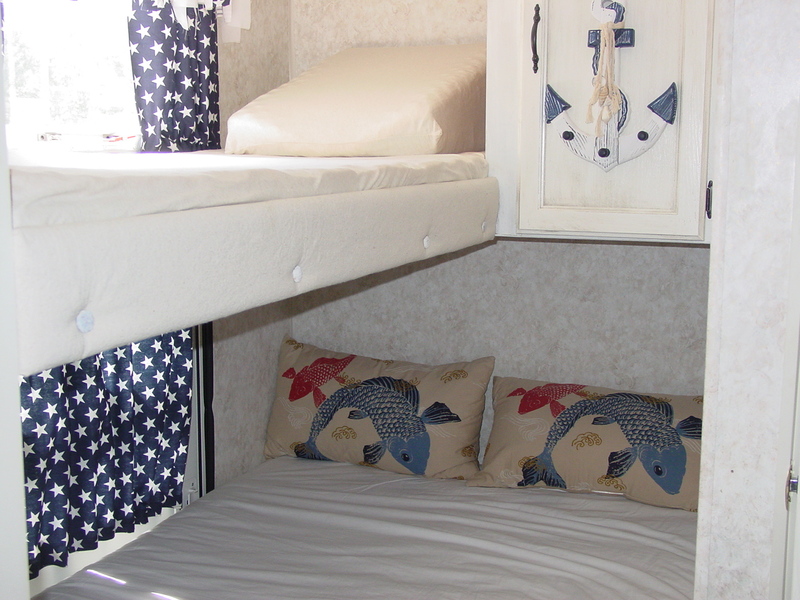 You have a small space in which to fit everything you need. There is never enough storage. You want the decor to be pleasant. You eat a lot of snack food. And since department and box stores don’t run huge sales for camping…well maybe around Memorial Day and Fourth of July you can get good buys on sleeping bags and charcoal, but for the most part, August is our best friend. 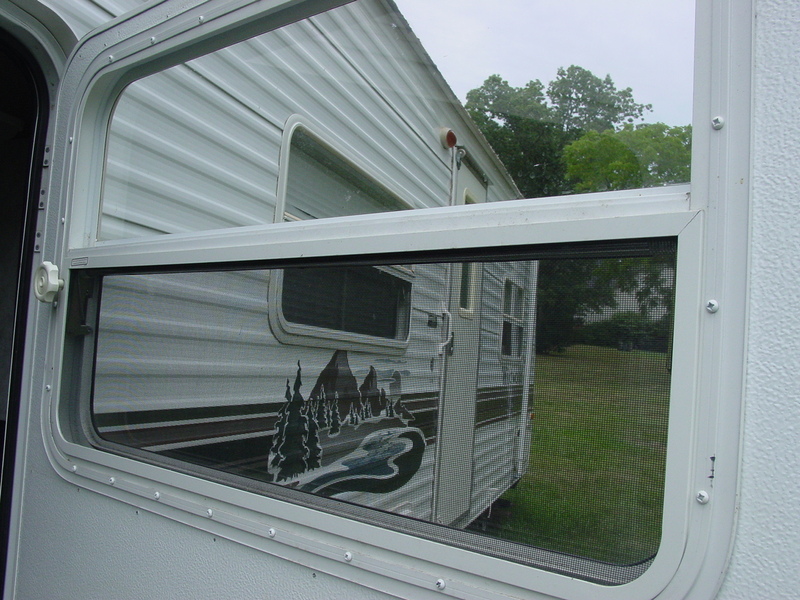 Practically everything you need to organize and update your camping trailer is on sale in late July and early August. You just need to look for the back-to-school sales. Here is an example of how I organized my entire trailer medicine cabinet with one “gym buddy” hanger. 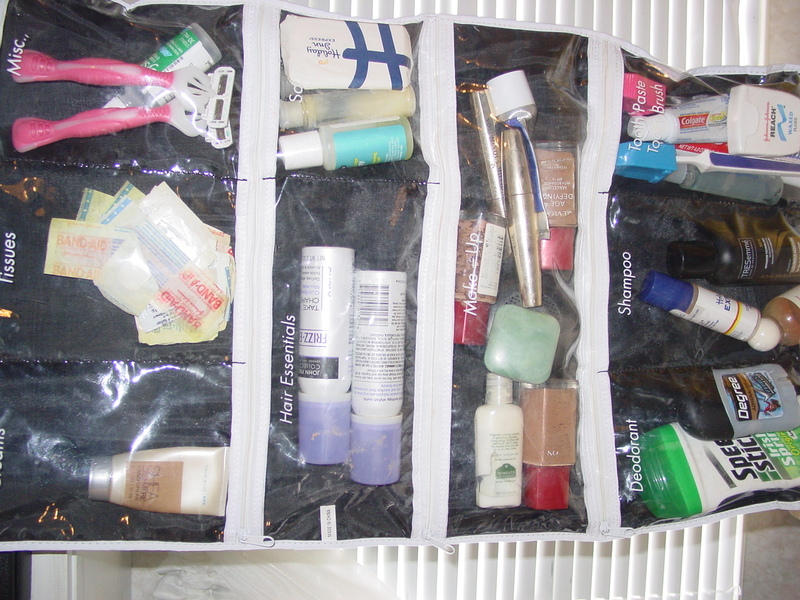 Before, I thought I was being very organized when I put cosmetics, lotions, razors, etc. in little disposable Glad bowls with lids. I had about 3 of them in the cabinet above the bedroom sink, and I also had toothpaste, toothbrushes, shampoo, bandages, and headache tablets loose on the shelves. The trouble was not so much that they moved around when we were traveling…although they did. The problem was that I could never remember which little bowl to open for which product, and as sure as I opened one, I found one thing I needed, but had to open the others to find the rest. Pretty soon, I had everything scattered around the sink and had to put it all back again. I always put the toothbrushes and toothpaste in a holder and left it out. Then, when it was time to travel, I needed to arrange everything back inside the cabinet. 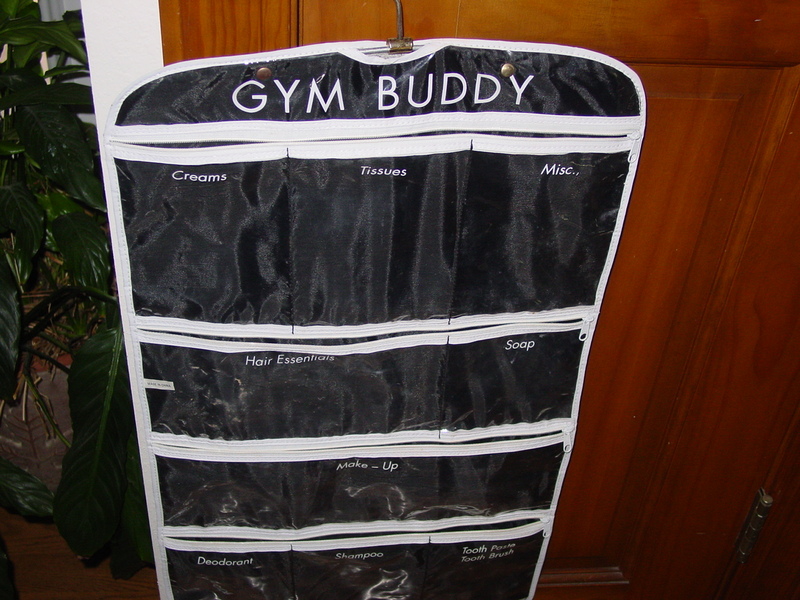 With the gym buddy, there is a ZIPPERED space for everything. 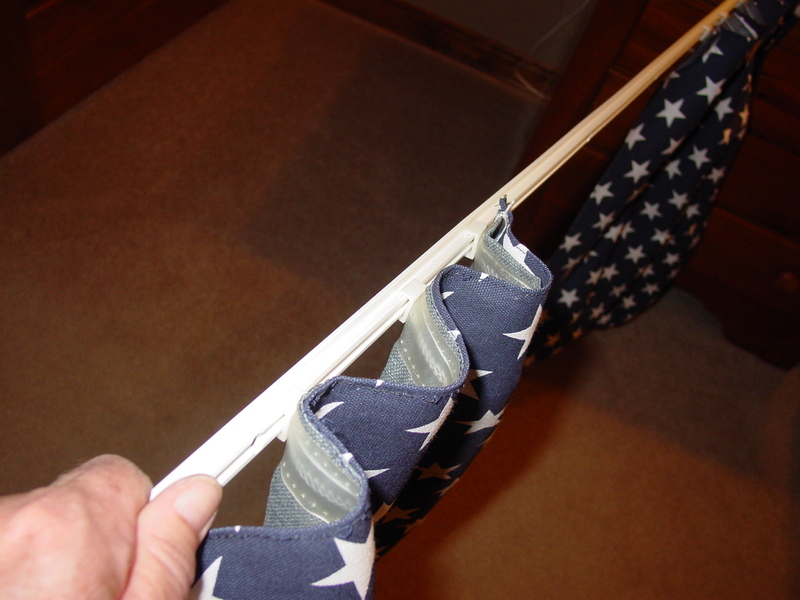 Once I got everything in and zipped up, I folded it and placed it on ONE shelf. Just one, mind you. Now, when I arrive at the campground, I will take the gym buddy out of the cabinet and hang it over the back of the bathroom door. Voila! Everything at our fingertips. No more digging through plastic tubs, and no more hunting for things that might have slid to the back of the cabinet shelves. Plus, there are still two empty shelves for the hair dryer and larger items. Genius! So, while I was thinking about it, I looked at all the online back to school sales and found a gazillion things that trailers need…all on sale! 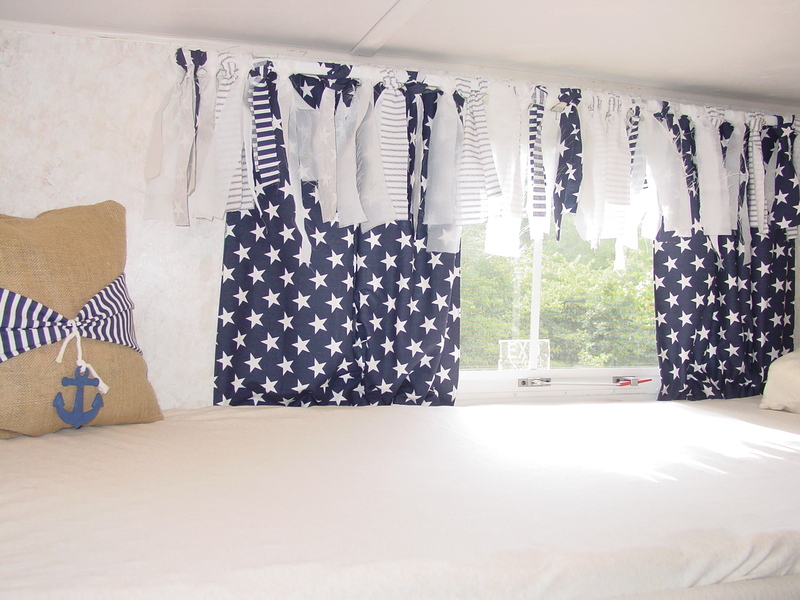 Comforter sets-lightweight and fun sets for $39.00-Perfect for an RV bed. Micro plush throws-perfect for those hammocks and lawn chairs by the campfire. I could go on and on, but I suddenly have the urge to shop. Go check out those back to school sales and let me know how you use them in your camping experience. As promised, I want to share a couple of things that worked well from our camping trip in the Tennessee/Kentucky. 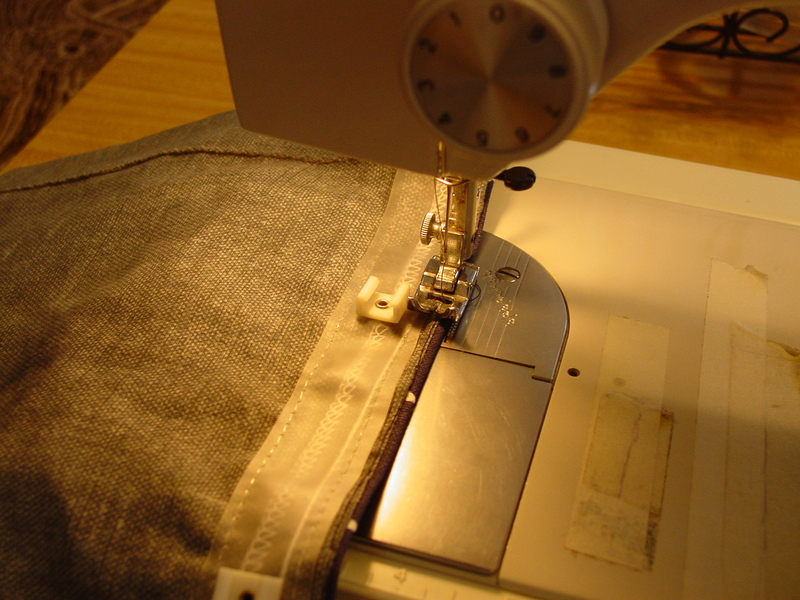 The first is a tip I had read about on a camping website and wanted to try for myself. I apologize up front for the photos. There was no time on our trip for staging, and these pictures don’t look like they came from a Paula Dean cookbook, but the point is…it worked! With pantry space at a premium, there is no room for a big box (or even a little one) of Bisquick. Also, who wants to get up and mix up things at 6 a.m.? You can still have a lovely plate big ole mess of pancakes without all the fuss! How you say? 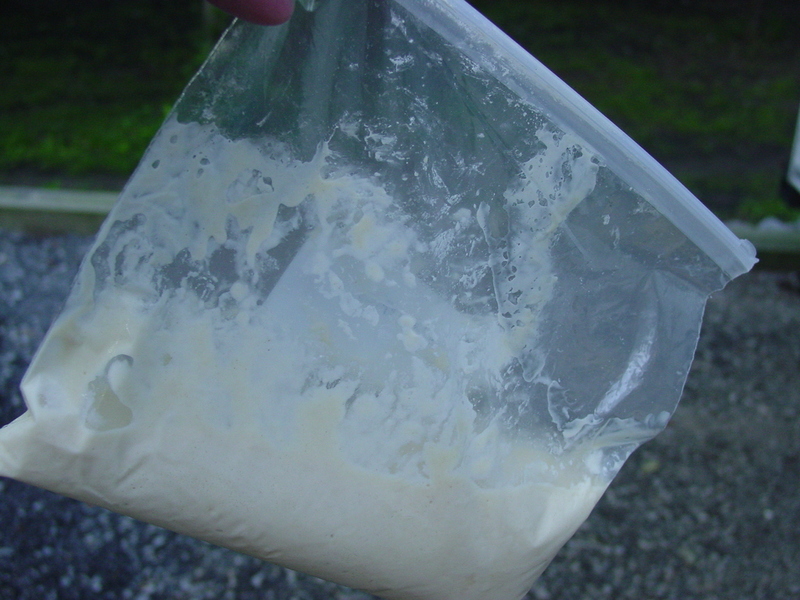 Mix the batter before you leave home, pour it into a ziplock bag, and freeze it! 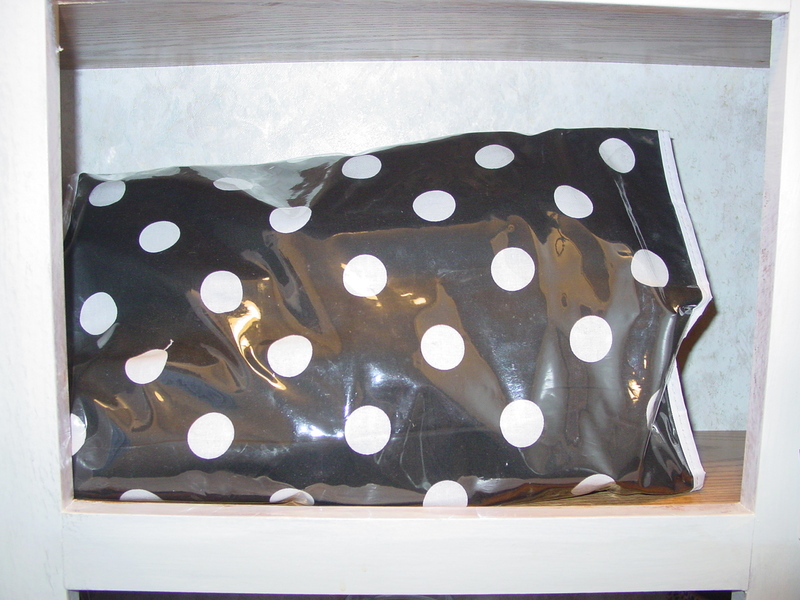 On the day before you plan to make the pancakes, move the bag from the freezer to the fridge. 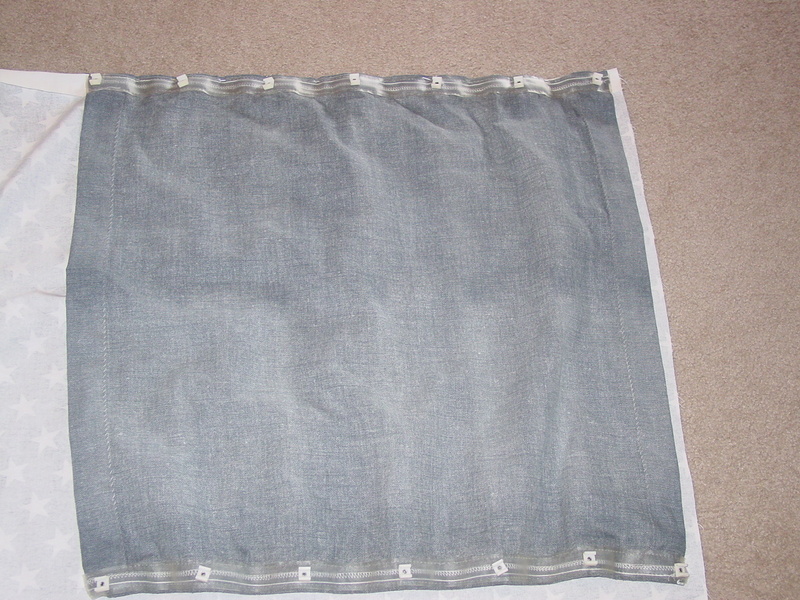 If you’re tent camping and have it in a cooler, it will probably already be thawed and ready to use. My go-to cooking utensil for cooking outside the trailer is an electric skillet. A small table set up by the outside plug on the trailer lets me cook outside, which I prefer when the weather cooperates. I fried up an entire package of bacon. I know, you’re thinking who’s the pig, here, but just do it. Fry the whole pound and drain it on a paper towel. Use what you want for breakfast and save the rest for another breakfast on the road or a great lunch time BLT! Bacon reheats in the microwave easily. After pouring off the bacon grease, I added a tad bit of butter and got the skillet hot. 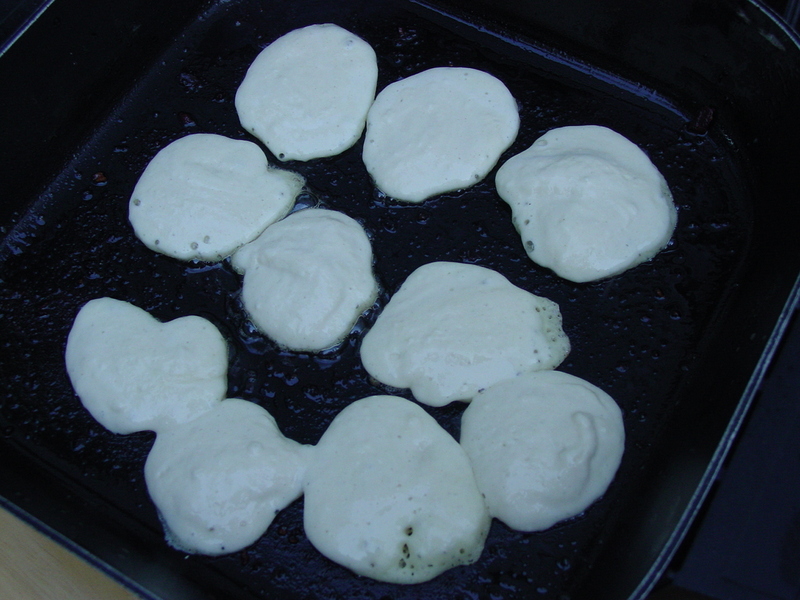 I snipped off the tip of the bag, and drizzled half dollar sized dollops of pancake mix. I had prewashed a bowl of fresh blueberries before I left home. I added a few packets of Splenda, popped the bowl in the microwave for five minutes while I was cooking the pancakes, and BAM! There you have it. Breakfast in a jif! (That means almost instantly in case you’re not from the Ozarks. 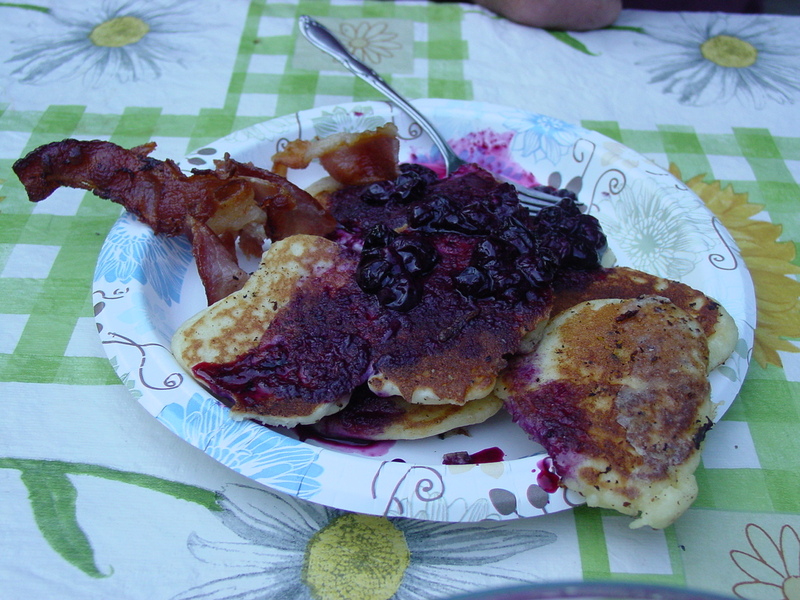 )We didn’t need syrup; the blueberry sauce was perfect! Yes, I will be doing this again. The other recipe I tried was from Steamykitchen.com. 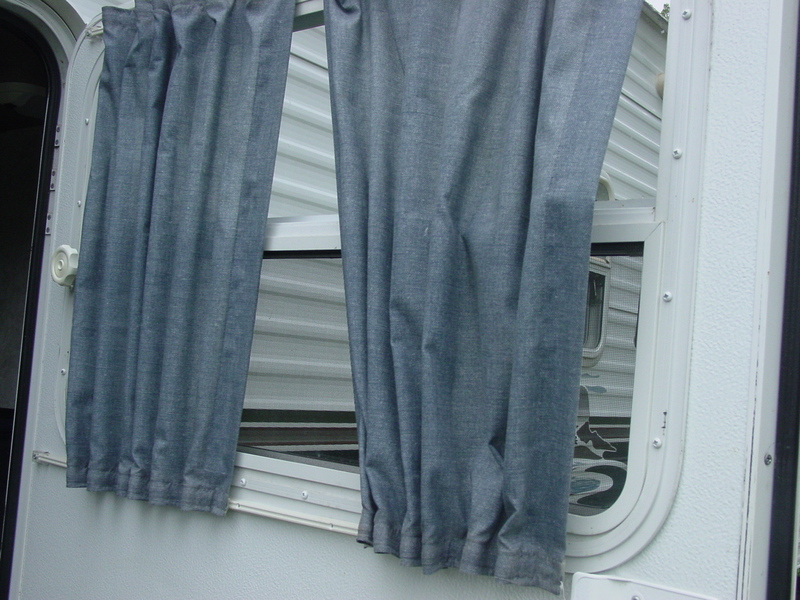 It also takes advantage of time you have before leaving on your camping trip. I washed all my veggies and bagged them together earlier. I actually wished I had cut them in julienne slices beforehand, also, but that took only a minute. I also marinated and froze the thin slices of sirloin and made the glaze before we started our trip. 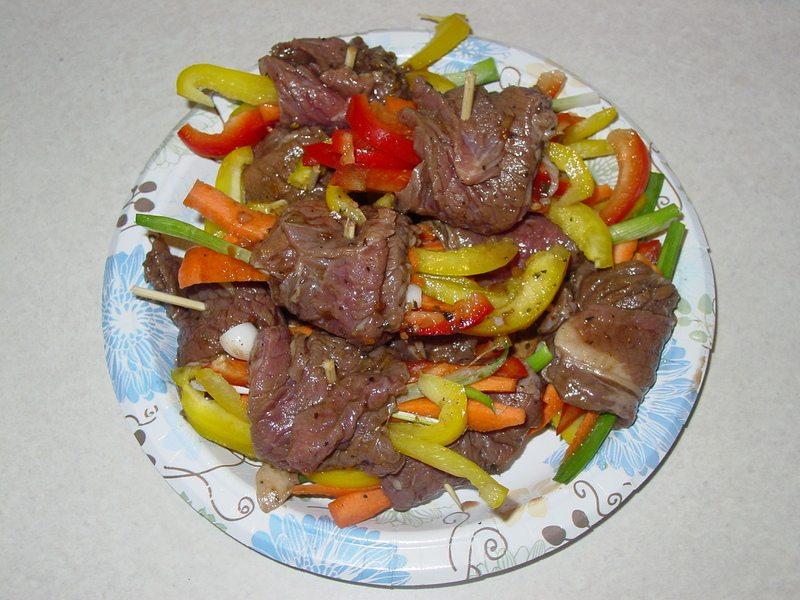 The evening I chose to prepare them, I thawed the steak, rolled it around the strips of veggies, and secured with a toothpick. 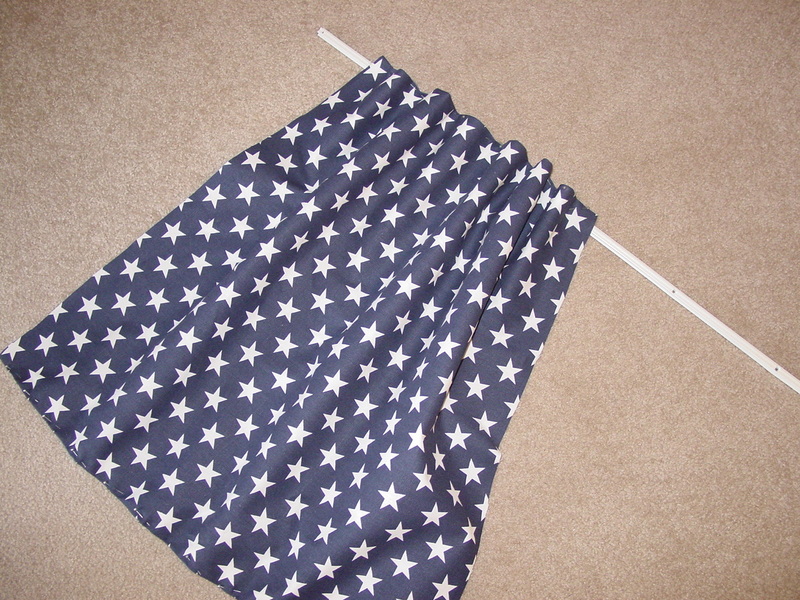 In hindsight, I wish I’d followed directions a bit better. I prefer my veggies a little crisp so I did not precook them at all. They were a little crunchier than most people would like. Next time, I will zap them a few minutes in the microwave before wrapping them with the steak. Just a few minutes on the grill, turning them only once, and they are ready to be glazed. Pretty, huh? They looked and smelled heavenly, even at this point, but let me tell you, that glaze was the topper! I seriously think I could just bottle that stuff and drink it. Guess who was in such a hurry to taste these little bundles that we have no picture of the final product? Saint, of course. Well, maybe me, too. So, here’s the recipe, and I highly recommend you trying this whether camping or backyard grilling. 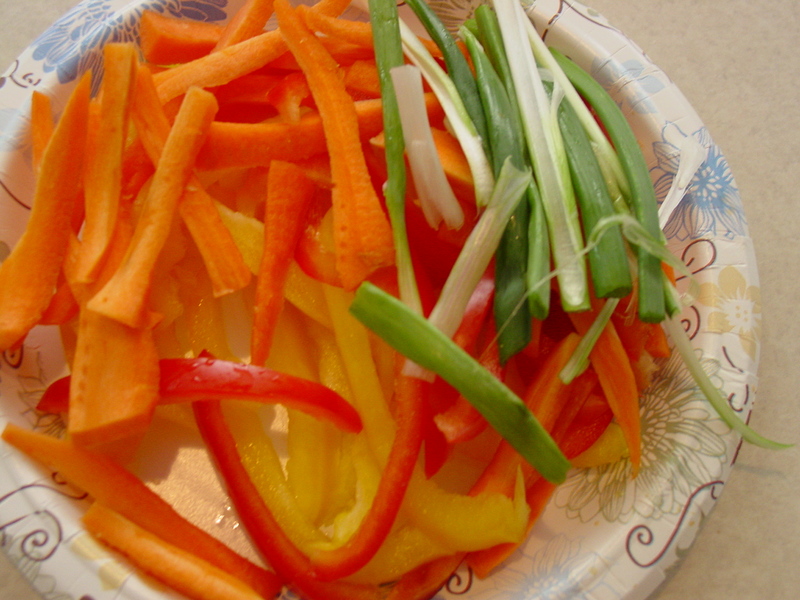 Three each…Carrots, green, yellow, and/or red peppers, green onion. Slice vegetables thinly and precook until slightly cooked but still crisp. Slice vegetables thinly and precook until slightly cooked but still crisp. Place in bag and refrigerate until ready to use. Rub and marinate steak directly in a quart sized zip lock bag. Freeze until ready to cook. Thaw steak strips. 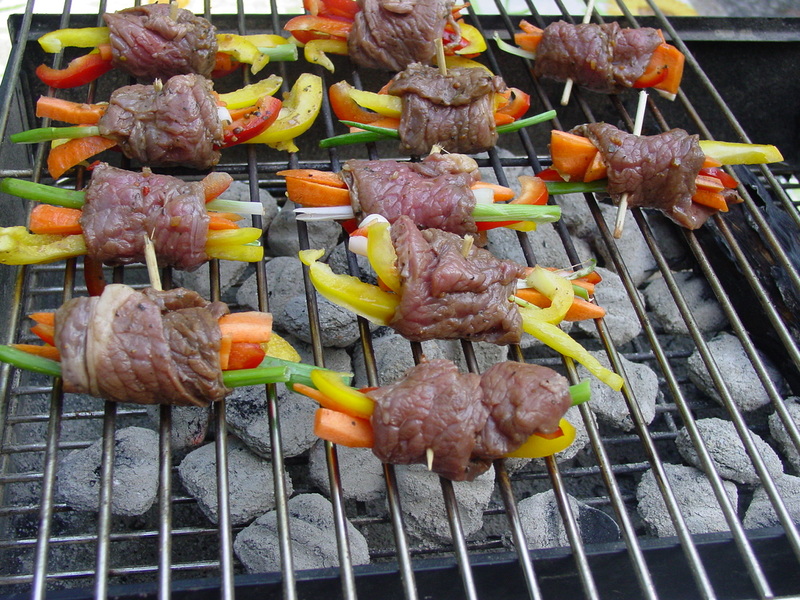 Wrap a bundle of veggies with steak strip and secure with a toothpick. Cook over medium hot coals until steak is done to your liking. It doesn’t take long! Saute shallots or garlic in the butter. Add other ingredients and cook over medium high heat until mixture thickens and reduces slightly. Cool and place in jar or other glass container if you are not using right away. I simply reheated the glaze in the trailer’s microwave before slathering it onto the grilled steak bundles. Fast, easy, and much of the prep can be done ahead. My kind of camping food. It’s a keeper! What not to do? Well, I left you with that picture of Saint and his tools scattered on a hot parking lot. Be careful when you’re backing a trailer into a tight space such as the one we stopped at in Dexter, MO for cheap gas. 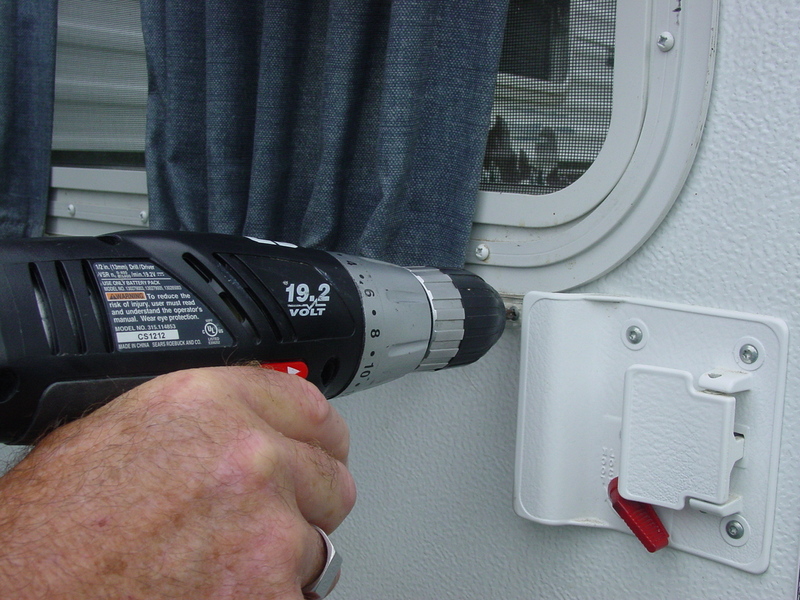 Secure your pigtail (wiring between the trailer and vehicle that keeps the fridge and pump running when you are traveling) in a way that it cannot be severed. We were blessed that Saint could wire and tape it back together and our trip was not trashed interrupted. 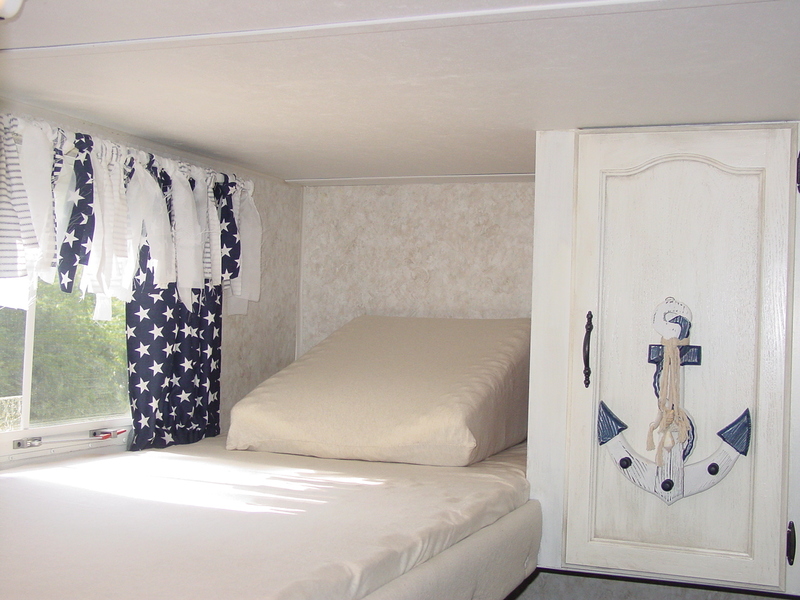 As for the leftover canvas fabric…I used it to cover the trim around the bunk and spare bed. I am gradually getting rid of that country blue! Pictures later.